There are history and tradition, some staff with hospitality. Built in 1874, with over 140 years of history, Located at the heart of Kochi City, this hotel affords easy access to sightseeing spots. The hotel boasts of a panoramic open-air bath where guests can relax while looking down at the Kochi Castle Town area. 140 years have passed since the our founding in the Tosa area. Jyoseikan has welcomed the royal family as well as a number of luminaries in various fields since its foundation in 1874 (Meiji 7). We welcome you with our wholehearted hospitality that has not changed since the foundation of Jyoseikan. We offer you a place for relaxation and comfort during your trip. Once you check in and relax in your room for a moment, you have an option to come down to the lobby. You can see a big tree called a Melastomataceae (Heterocentron elegans Cote d'Azur) in the courtyard. Generally, the tree rarely flowers, but here you will be able to enjoy its elegant purple flowers as the name implies. In the cabinet in front of the tea lounge "Seseragi", we proudly display pictures of the royal family and the former prime minister Mr. Yoshida. He was one of the VIPs we have welcomed, and he used to love our hotel wholeheartedly. We also exhibit an "Old Parr" bottle he enjoyed. We look forward to having you here with all these precious displays. Would you like a drink or something nibbly? Then, our tea lounge "Seseragi" would be the best place to go. Our top recommendation is the "Fancy 3 Desserts Platter." We serve vanilla ice cream, purple sweet potato paste and sweet potato chips. The chips are seasoned with salt and butter. Try eating them with ice cream; you'll experience a fascinating harmony of flavor! Other items on the menu include "Beauty juice" with collagen, "Mango ice cream & crushed ice cream "which is perfect for a hot summer's day, etc. We are waiting for your visit! Are your legs swollen from all the walking? Are your hands tired from daily computer work? If so, please visit the relaxation corner on the 8th floor and treat yourself to a foot and hand massage! Give your hard-working hands and legs a little gift. We recommend that you make a reservation to avoid any inconvenience. Wash away all your fatigue in the vistaed open-air bath with a magnificent view of Kochi city, and then relax at Shiromiyagura. You can not only see the illuminated Kochi-jo Castle right in front of you, but you can also shine a light into the castle yourself. You might also want to try the flavorful Yuzu tea available at the after-bath café. You can't miss our breakfast buffet with 60+ kinds of delicious dishes (both Japanese and Western dishes are available). Your day starts right from here! Our recommendation is freshly cooked dishes at the open kitchen. You can even order sunny-side-up eggs, omelets, etc., and our skilled chefs will cook in front of you. 2 minute walk from the hotel is Ryoma's Birthplace Memorial Museum. This museum in Ryoma's hometown is surrounded by the relaxing smell of wood. It will surely let you spend a relaxing time. Please feel free to ask our tour concierge Chika if you have any questions about the hotel facilities and activities. We will be waiting for your arrival in the lobby on the ground level. Reviews of Jyoseikan TripAdvisor provides reviews.  Free Wi-Fi in all our guest rooms. To avoid any misunderstandings or troubles, please contact us at the direct lines or e-mail addresses indicated below. Meals, Banquets, Bento plans, Catering services, etc. Bridal department Reservations and inquiries about Wedding, Reception, etc. Copyright © (Inc.) Jyoseikan. All rights reserved.